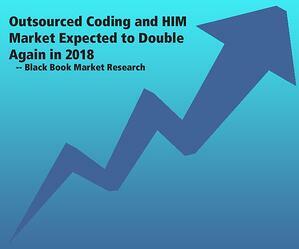 A recent Black Book Market Research survey indicated that the outsourced coding and Health Information Management market is expected to double in 2018. Within this survey, Aviacode was once again ranked among the top vendors in outsourced coding. The reasons for our ranking by the 1,277 survey respondents from 220 hospitals and 789 physician groups is the Aviacode’s comprehensive cadre of solutions. They remove the pain of medical coding and auditing for our clients -- physician groups, healthcare facilities, surgical centers, and payors. Our exceptional coders and innovative technology, including our ProCoder™ coding platform, enable a workflow that minimizes errors, accelerates the billing process, and improves our our clients’ bottom lines. Our advanced medical coding solution guarantees accuracy and turnaround; it is cost-efficient and less hassle for practice managers, physicians, hospitals, and providers. We provide temporary solutions for eliminating backlogs and overflow coding coverage, or we can provide long-term coding for HIM departments or help transition to specific specialties. We use only the best credentialed and experienced coders. All our coders are all AAPC or AHIMA certified and have the minimum years of experience required by our clients. They continually work to improve their productivity and to stay on top of changes in rules and regulations. Our coding compliance and audit services provide a comprehensive accuracy review of coding-related practices aimed at maximizing revenue efficiency, identifying potential coding compliance risks, and stopping coding-related denials. Our experienced and credentialed auditors are compliant with the latest coding guidelines and changes to ensure that audits are accurate, consistent, and comprehensive. Audits are completed and reports returned typically within three weeks. In addition, we can provide provider and staff education tailored to meet our clients’ specific needs as desired. Our clinical documentation improvement services provide customized and flexible training solutions to help ensure accurate reimbursement, compliance and adoption of ICD-10 documentation, including the over 1,000 codes that were added, changed and deleted October 1st. Survey findings include that 74 percent of clients confirm that outsourcing is contributing to improved coding accuracy and 85 percent of CAC and CDI outsourcing confirm quality improvements and increases in the case mix index. Therefore, the choice of the right outsourcing partner is critical. It is completely understandable why we are continually ranked among the leaders in outsourced medical coding.